Alberta MLAs will return to the Legislature for a spring sitting on March 10, 2015, the Progressive Conservative Party plans to have candidates nominated in all 87 constituencies by March 15, 2015 and Finance Minister Robin Campbell is expected to introduce a provincial budget in late March. It would be hard to find stronger indicators that an April 2015 provincial general election is on the horizon. And as the PC Party plans to hold 35 nomination meetings on a February 21 “Super Saturday,” candidates have already begun to step up to run for nominations. The quickly approaching deadline and impending election will also force incumbent MLAs whether they will seek another term in the Legislative Assembly. In Lethbridge-East, PC MLA Bridget Pastoor announced this week that she would not seek re-election. The departure of the three-term MLA, who was elected as a Liberal in 2004 and 2008 before crossing the floor in 2011, will make Lethbridge-East a race to watch in the next election. Before Ms. Pastoor’s floor crossing, the constituency had been represented by Liberal MLAs since 1993. With the prospect of gains following Shannon Phillips impressive performance in Lethbridge-West in 2012, the NDP chose Maria Fitzpatrick as their Lethbridge-East candidate this week in a three-way contest. In the heart of oil sands country, Fort McMurray-Conklin MLA Don Scott and Fort McMurray-Wood Buffalo MLA Mike Allen announced they will once again seek the PC nominations in their constituencies. 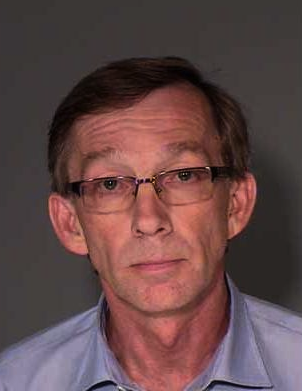 Mr. Allen may face a nomination challenge following his controversial first term, which included being arrested on prostitution related charges while on a government trip to Minneapolis, USA and his resulting time as an Independent MLA. He was fined $500 plus court costs after pleading guilty and was allowed to rejoin the PC caucus. In Airdrie, the retirement of PC-turned-Wildrose-returned-PC MLA Rob Anderson has led to speculation that 2012 PC candidate and city councillor Kelly Hegg and Mayor Peter Brown may seek the PC nomination. In Medicine Hat, Wildrose-turned-PC MLA Blake Pedersen could face two challengers for the PC nomination. Former city councillor John Hamill, 77, has expressed interest in the nomination, as has 2012 PC candidate Darren Hirsch. Danny Fieldberg has announced plans to seek the PC nomination in Cypress-Medicine Hat , a constituency currently represented by Wildrose MLA Drew Barnes. Mr. Barnes is looked at as potential leadership replacement for retiring Calgary-Fish Creek MLA Heather Forsyth, who has served as interim leader of the Wildrose Party since Danielle Smith abandoned her former party on December 17, 2014. Stettler County councillor Greggory Jackson announced plans in November 2014 to seek the PC nomination in Drumheller-Stettler. The constituency is currently represented by Wildrose MLA Rick Strankman. Former PC MLA Jack Hayden and former business owner Ed Mah have also announced plans to enter the PC nomination race. Olds Town Councillor Wade Bearchell has announced his intentions to challenge Wildrose-turned-PC MLA Bruce Rowe for the PC nomination in Olds-Didsbury-Three Hills. “My sense is that people are angry and upset and I know that the people of the constituency want somebody that they can believe in — that they trust,” Mr. Bearchell told the Olds Albertan in response to Mr. Rowe’s floor crossing on Dec. 17, 2014. I have updated the list of nominees and nomination candidates planning to run in Alberta’s next general election. Please email david.cournoyer [at] gmail.com if there are additions to the list. Thank you. This entry was posted in Alberta Politics and tagged 2015 Alberta Election, Airdrie, Blake Pedersen, Bridget Pastoor, Bruce Rowe, Cypress-Medicine Hat, Danny Fieldberg, Darren Hirsch, Don Scott, Drew Barnes, Drumheller-Stettler, Fort McMurray-Conklin, Fort McMurray-Wood Buffalo, Greggory Jackson, Jack Hayden, John Hamill, Kelly Hegg, Lethbridge-East, Lethbridge-West, Maria Fitzpatrick, Medicine Hat, Mike Allen, Olds Albertan, Olds-Didsbury-Three Hills, Peter Brown, Progressive Conservative Candidate Nominations, Rick Strankman, Rob Anderson, Robin Campbell, Shannon Phillips, Wade Bearchell on January 16, 2015 by Dave Cournoyer. big money spent in alberta’s 2012 election. 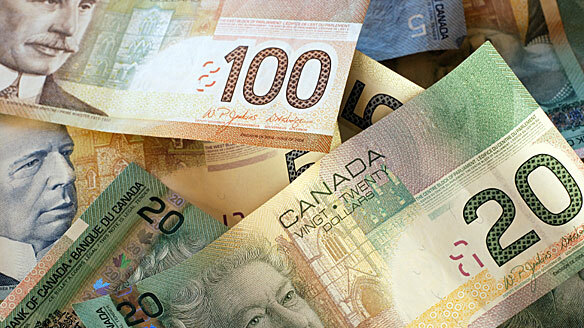 Elections Alberta has released the financial disclosure forms submitted by candidates who ran in the April 2012 provincial election and some of the disclosure forms reveal some interesting information about how much money was fundraised and spent during the campaign. The money spent by candidates and political parties in Alberta elections are nowhere near the truckloads being spent south of the border in advance of November’s presidential and senate elections, but some of these numbers demonstrate how pitched some electoral battles were in the recent provincial election. Although money cannot replace hard-working candidates and dedicated volunteers, it makes available resources that can, in many cases, make a big difference in pushing a candidate to electoral success. It appears that the most expensive race between two candidates was in Calgary-Elbow, where Premier Alison Redford faced Wildrose Party challenger James Cole. While Premier Redford’s campaign spent a massive $154,345.53, Mr. Cole’s campaign was not far behind, spending $123,647 during the election period. South of Calgary in the Highwood constituency, the campaign of Wildrose Party leader Danielle Smith (named Marlaina Danielle Smith by Elections Alberta) spent only $55,010.97 compared to the $90,706.19 spent by the campaign of Tory challenger John Barlow. In the hotly-contested constituency of Calgary-Acadia, Wildrose challenger Richard Jones spent 69,335.39 on his unsuccessful campaign to unseat Justice Minister Jonathan Denis, whose campaign spent $71,246.45. Airdrie MLA Rob Anderson, who crossed the floor to the Wildrose Party in 2010, saw his campaign spend $77,295.20, which dwarfed the $32,411 spent by the campaign of his main challenger Kelly Hegg. In the long-time Liberal-held Edmonton-Gold Bar constituency, Tory David Dorward‘s campaign spent $77,732.39, NDP Marlin Schmidt‘s spent $38,400.73, and Liberal Josipa Petrunic‘s spent $33,079.39. The contest was won by Mr. Dorward, who was elected with 33% of the vote. In Calgary-McCall, Liberal MLA Darshan Kang‘s campaign spent $82,629.80 to ward off challengers Tory Muhammad Rasheed and Wildroser Grant Galpin, whose campaigns spent $87,327.25 and $27,695.12. In Edmonton-Rutherford, Tory Health Minister Fred Horne‘s $108,327.30 campaign easily outspent a wide field of challengers. Former Liberal MLA Rick Miller‘s campaign spent $41,117.36, the campaign of Alberta Party candidate Michael Walters spent $30,085.18, and Wildrose challenger Kyle Mcleod‘s campaign spent $23,477.51. In many cases, the Tory MLA’s vastly outspent their main challengers (which in most cases, was the local Wildrose candidate). In Calgary-Greenway, Tory Manmeet Bhullar‘s campaign spent $133,294 against challenger Ron Leech‘s $14,078.05 campaign. In Fort McMurray-Conklin, the campaign of first-time Tory candidate Don Scott spent $110,955.44 to Wildroser Doug Faulkner‘s $21,011.41. In Edmonton-Whitemud, Tory cabinet minister Dave Hancock‘s campaign spent $121,233.35 to Wildrose challenger Ian Crawford‘s $11,598.73. In Calgary-West, Tory candidate Ken Hughes‘ campaign spent $111,796.33 compared to $31,781.49 from Wildrose challenger Andrew Constantinidis. Ted Morton: the $159,618.90 man. In some cases, outspending a challenge made little difference for incumbent Tory MLAs. In Chestermere-Rockyview, Energy Minister Ted Morton‘s campaign spent $159,618.90 compared to Wildrose challenger Bruce McAllister‘s $48,062.69. Mr. McAllister defeated Minister Morton on election night. There were some other surprising finds as well. In Lethbridge-West, the campaign of NDP candidate Shannon Phillips spent $48,852.88 compared to PC MLA Greg Weadick‘s $39,394.54. This was also the NDP’s best showing outside of Edmonton. The ‘Maurice Tougas Award for Electoral Victory on a Shoestring Budget’ goes to Wildrose MLA Jeff Wilson, who was elected in Calgary-Shaw for the first time in April 2012. Mr. Wilson was one of the last Wildrose Party candidates to be nominated and defeated Tory star candidate Farouk Adatia, who outspent the Wildrose challenger $78,347 to $15,358. Less extreme cases took place across central and southern Alberta, where Wildrose candidates were elected in long-time Tory voting constituencies. The award is named after writer Maurice Tougas, who served as the Liberal MLA for Edmonton-Meadowlark from 2004 to 2008. Mr. Tougas’ campaign spent $5,366.55 in his last minute campaign against Tory MLA Bob Maskell, whose campaign spent $46,957.00. Mr. Tougas unseated Mr. Maskell on election night. Note: I had hoped that I would be able to provide a more comprehensive list of numbers from the financial disclosure. Unfortunately, the unfriendly interfaced used by Elections Alberta on their website did not allow me the time to complete this. Rather than transferring the data into easily searchable and useable formats on their website, Elections Alberta provides PDFs of scanned paper forms which were completed in handwriting by the candidate’s Chief Financial Officers (the writing ranges from chicken-scratch to cursive). It is my hope that in the near future, Elections Alberta is able to build a more user-friendly website that allows Albertans to more easily access these important records. This entry was posted in Alberta Politics and tagged Alison Redford, Andrew Constantinidis, Bob Maskell, Bruce McAllister, Danielle Smith, Darshan Kang, Dave Hancock, David Dorward, Don Scott, Doug Faulkner, Farouk Adatia, Fred Horne, Grant Galpin, Greg Weadick, Ian Crawford, James Cole, Jeff Wilson, John Barlow, Jonathan Denis, Josipa Petrunic, Kelly Hegg, Ken Hughes, Kyle McLeod, Manmeet Bhullar, Marlin Schmidt, Maurice Tougas, Michael Walters, Muhammad Rasheed, Richard Jones, Rick Miller, Rob Anderson, Ron Leech, Shannnon Phillips, Ted Morton on August 31, 2012 by Dave Cournoyer. 15 races to watch in alberta’s 2012 election. In the lead up to the Alberta’s 2012 election, I have identified fifteen constituencies across the province that could produce interesting contests and results when the election is called. 15 races to watch in Alberta's 2012 election. The Wildrose Party has staked their future in the success of leader Danielle Smith and I expect that party will pull out all the stops to ensure she is elected. The PCs have nominated newspaper editor John Barlow to replace retiring PC MLA George Groeneveld. This area has deep Liberal roots, having first elected MLA Grant Mitchell in 1986, but since 2001 it has become a swing-riding electing both Liberals and PCs. Currently held by former PC MLA and now Liberal Party leader Raj Sherman, the next vote will be a test of his personal popularity as he runs under his new party’s banner. He will face former PC MLA Bob Maskell, who served from 2001 until 2004. Voters in this constituency are notorious swing-voters. No incumbent has been re-elected here since 1997. Current PC MLA Doug Elniski made a last minute announcement that he would not seek re-election, leaving former school trustee and newly nominated candidate Bev Esslinger not a lot of time to catch up. Former MLA David Eggen has been campaigning in Calder for the past three years and is expected to launch a well-organized campaign. Wildrose candidate Rich Neumann may play kingmaker if he is able to attract enough past PC voters. In 2009, outgoing Wildrose leader Paul Hinman narrowly won a hotly contested by-election that was seen as a referendum on then-Premier Ed Stelmach‘s popularity in Calgary (which was low). With new Premier Alison Redford representing the neighboring constituency, PC candidate Linda Johnson may receive a warmer reception at the doors. Throw into the mix former Mount Royal College instructor Craig Cheffins, who served as the Liberal MLA for Calgary-Elbow from 2007 to 2008, and the outcome of this race could be difficult to predict. Represented by both PC and Liberal MLAs over the past twenty years, this constituency could be a key battleground for five opposition parties in the next election. Former Liberal MLA Bruce Miller is challenging PC cabinet minister Heather Klimchuk, who unseated him by 136 votes in 2008. Rev. Miller is not the only challenger in this election. The Alberta Party is pinning their hopes on former school trustee Sue Huff, the NDP have nominated former MLA and leader Ray Martin, and the Wildrose have chosen past Mayoral candidate Don Koziak. 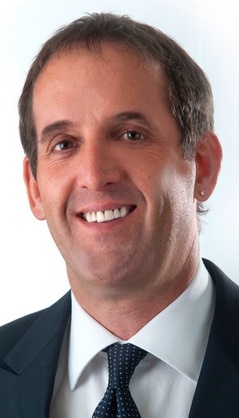 With the retirement of popular two-term Liberal MLA Harry Chase, the Liberals have nominated former carpenters’ union official Bruce Payne, who ran for that party’s leadership in 2011. The PCs have chosen former Nexen vice-president Donna Kennedy-Glans. The results of this race will be a critical indicator of whether the Liberals can hold on to, and build on, important gains made in Calgary during the past two elections. Energy Minister Ted Morton will face off against former Global Calgary news anchor and Wildrose candidate Bruce McAllister. The Wildrose attacked Minister Morton’s credentials as a “fiscal mallard” while he was Finance Minister and by nominating Mr. McAllister they are showing that they will not give him a pass in the next election. When first-term PC MLA Rob Anderson joined the Wildrose in 2010, he automatically became a target of his former party, who have nominated Alderman Kelly Hegg as their candidate. The Airdrie area has typically voted for the PCs, but voters in this region have been known to elect opposition candidates in the past (Western Canadian Concept MLA Gordon Kesler was elected in 1982 and Liberal MLA Don MacDonald was elected in 1992). After being unseated by Wildorse MLA Mr. Hinman in 2004, PC MLA Broyce Jacobs won a narrow victory in 2008. Fast forward to 2012, Mr. Jacobs has lost his party’s nomination to Pat Shimbashi and the Wildrose has nominated Sterling Deputy Mayor Gary Bikman. If the Wildrose are to pick up seats in the election, this will likely be one. In a rematch of the closest race of the 2008 election, PC MLA Fred Horne will face former Liberal MLA Rick Miller. While 2008 a two-way contest, the 2012 contest is more interesting with the presence of community organizer and Alberta Party candidate Michael Walters and Wildrose candidate Kyle McLeod. After winning four elections as this constituency’s PC candidate, late-blooming Wildrose MLA Guy Boutilier will face Wood Buffalo deputy mayor Mike Allen in the upcoming vote. After decades as a municipal and provincial politician, this election may be more a test of Mr. Boutilier’s personal support than that of his new party. A Liberal Party stronghold since 1986, the retirement of MLA Hugh MacDonald and the redistribution of electoral boundaries south encompassing Tory-voting neighbourhoods may give second-time PC candidate David Dorward a boost. Liberal candidate Josipa Petrunic is a well-spoken and passionate partisan who hopes to hold the constituency for her party. The NDP have nominated Marlin Schmidt and hope to capitalize on local support for NDP MP Linda Duncan. A close contest in 2008 saw former PC MLA Tony Vandermeer defeat NDP MLA Ray Martin. 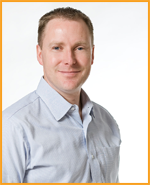 In 2012, Mr. Vandermeer will face a strong challenge from NDP candidate Deron Bilous. After twenty years of close races, voters in this constituency have proven themselves to be deeply divided between the PCs and Liberals. This election, first-term PC MLA Greg Weadick and second-time Liberal candidate Bal Boora will be joined by NDP candidate Shannon Phillips, who has launched a spirited campaign, and Wildrose candidate Kevin Kinahan. Even if Mr. Weadick is re-elected, the real story may be who places second in this politically moderate southern Alberta constituency. After more than three decades in the Assembly, the departure of PC MLA Ken Kowalski has created a large void to fill in this constituency north of Edmonton. The PCs have nominated Westlock County Councillor Maureen Kubinec, who will face off against her main opponent Wildrose candidate Link Byfield. Mr. Byfield has been campaigning for more than a year and could make gains if he is able to tap into the base of social conservative voters in this constituency. This entry was posted in Alberta Politics and tagged Alison Redford, Bal Boora, Bev Esslinger, Bob Maskell, Broyce Jacobs, Bruce McAllister, Bruce Miller, Bruce Payne, Craig Cheffins, Danielle Smith, David Dorward, David Eggen, Deron Bilous, Don Koziak, Don MacDonald, Donna Kennedy-Glans, Doug Elniski, Ed Stelmach, Fred Horne, Gary Bikman, George Groeneveld, Gordon Kesler, Grant Mitchell, Greg Weadick, Guy Boutilier, Harry Chase, Hugh MacDonald, John Barlow, Josipa Petrunic, Kelly Hegg, Kevin Kinahan, Kyle Macleod, Linda Duncan, Linda Johnson, Link Byfield, Marlin Schmidt, Maureen Kubinec, Michael Walters, Mike Allen, Pat Shimbashi, Paul Hinman, Raj Sherman, Ray Martin, Rich Neumann, Rick Miller, Rob Anderson, Shannon Phillips, Sue Huff, Ted Morton, Tony Vandermeer on February 28, 2012 by Dave Cournoyer. tories nearing a full-slate of candidates, opposition parties all over the map in election preparation. After a week away from the blogging world, I spent some time this weekend catching up with plenty of election nomination candidate updates. Alberta’s political parties are all in varying degrees of preparation for the upcoming election and for the next session of the Legislative Assembly. The Spring sitting of the Assembly begins this week and the provincial budget is expected to be tabled by Finance Minister Ron Liepert by the end of the week. Following a busy few days of more than 20 nomination meetings across Alberta, the Progressive Conservatives now have nominated 85 candidates in 87 constituencies. Recently nominated PC candidates include Linda Johnson in Calgary-Glenmore, Bridget Pastoor in Lethbridge-East, Steve Young in Edmonton-Riverview, Kelly Hegg in Airdrie, Ron Casey in Banff-Cochrane, Maureen Kubinec in Barrhead-Morinville-Westlock, Christine Cusanelli in Calgary-Currie, Jason Luan in Calgary-Hawkwood, Donna Kennedy-Glans in Calgary-Varsity, Mike Allen in Fort McMurray-Wood Buffalo, Everett McDonald in Grande Prairie-Smoky, John Barlow in Highwood, John Kolk in Little Bow, Cris Basualdo in Edmonton-Highlands-Norwood, Matt Jeneroux in Edmonton-South West, Stephen Khan in St. Albert, Sandra Jansen in Calgary-North West, and Bev Esslinger in Edmonton-Calder. In Edmonton-Mill Woods, Sohail Qadri defeated controversy-prone one-term MLA Carl Benito to win the PC nomination. Mr. Benito is the third PC MLA to lose a nomination contest in the run up to the next provincial election. The PCs have been unable to find candidates to run in Calgary-Buffalo and Edmonton-Strathcona. The NDP, with more than 70 nominated candidates, acclaimed University of Alberta student Aditya Rao as a candidate in Drumheller-Stettler last weekend. The Liberal Party, with only 29 candidates nominated, recently chose Pete Helfrich in Banff-Cochrane, Wilson McCutchan in Calgary-West, Les Vidok in Innifail-Sylvan Lake and Jason Chilibeck in Red Deer-South. Liberal leader Raj Sherman is expected to release key parts of his party’s election platform in Calgary and Edmonton today. By my estimate, the Wildrose Party has 81 candidates chosen across the province, including recently nominated Tim Dyck in Calgary-Bow and Tim Copithorne in Banff-Cochrane. The party held a campaign school in Red Deer last weekend, drawing candidates and campaign workers from across the province. 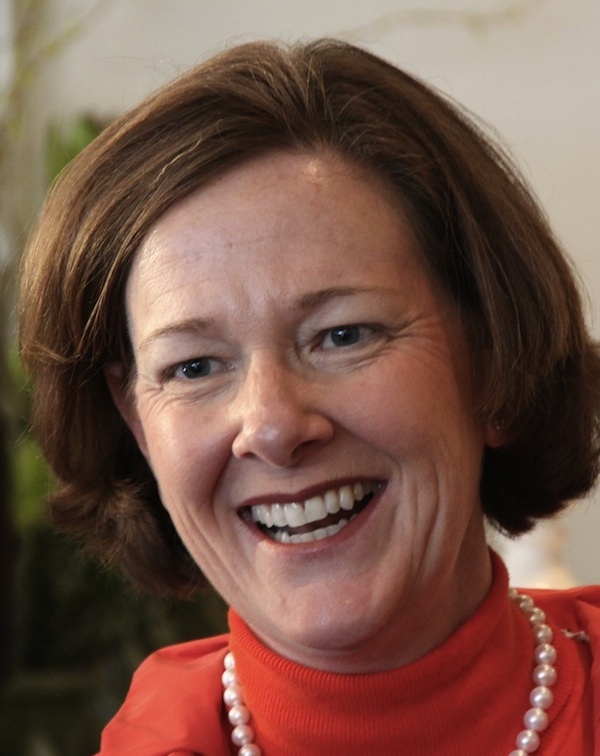 The Wildrose Party has been accused of launching another round of negative push polls aimed at Premier Alison Redford. 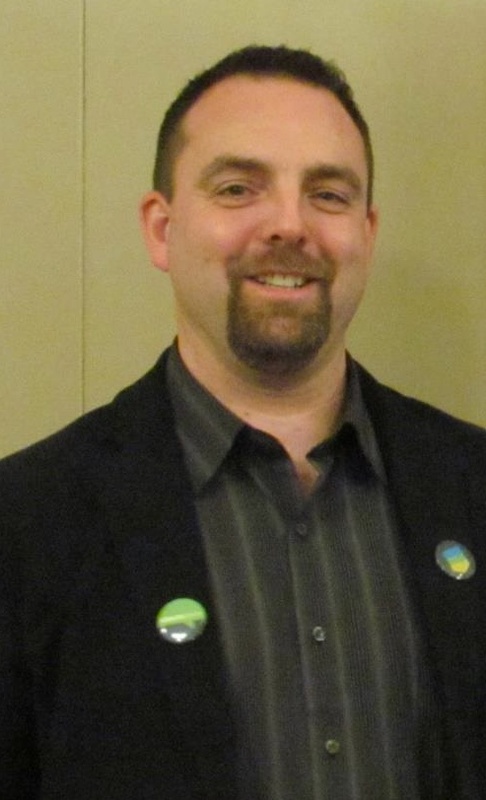 The Alberta Party recently nominated Brandon Beasley in Calgary-Shaw and will soon nominate candidates Midge Lambert in Battle River-Wainwright. On March 4, Alberta Party members in Lacombe-Ponoka will choose either Tony Jeglum or Brent Chalmers as their candidate in a contested nomination. Celebrating two years since reforming their organization, the Alberta Party is no longer the newest kid on the political block. Rising from the ashes of the financially-mangled and now-defunct Alberta Green Party is the new EverGreen Party. Leader Larry Ashmore is carrying his party’s banner in Livingstone-Macleod. Mr. Ashmore earned 937 votes as the Green Party candidate in Foothills-Rockyview in the 2008 election. In the electoral realm beyond political parties, Sherwood Park Independent owner James Ford announced that he will run as an Independent candidate in Sherwood Park. Mr. Ford is better known as the Independent candidate who placed a strong second to Conservative Tim Uppal in the 2008 and 2011 federal elections. Mr. Ford’s candidacy in the federal elections were in response to Mr. Uppal’s nomination win over Strathcona County Councillor Jacquie Fenske, which many in the local Conservative establishment believed to be unfair. Ms. Fenske is now the nominated PC candidate in the neighbouring Fort Saskatchewan-Vegreville constituency. This entry was posted in Alberta Politics and tagged Aditya Rao, Bev Esslinger, Brandon Beasley, Brent Chalmers, Bridget Pastoor, Carl Benito, Christine Cusanelli, Cris Basualdo, Donna Kennedy-Glans, Everett McDonald, Jacquie Fenske, James Ford, Jason Chilibeck, Jason Luan, John Barlow, John Kolk, Kelly Hegg, Larry Ashmore, Les Vidok, Linda Johnson, Matt Jeneroux, Maureen Kubinec, Midge Lambert, Mike Allen, Pete Helfrich, Raj Sherman, Ron Casey, Ron Liepert, Sandra Jansen, Sohail Qadri, Stephen Khan, Steve Young, Tim Dyck, Tim Uppal, Tom Copithorne, Tony Jeglum, Wilson Mccutchan on February 6, 2012 by Dave Cournoyer. alberta tories holding a packed nomination week. Edmonton-Centre: Young lawyer Akash Khokhar defeated Nicole Martel to win the PC nomination. In the next election, Mr. Khokhar will face Liberal MLA Laurie Blakeman, who has represented the constituency since 1997. Edmonton-Gold Bar: Past Mayoral candidate David Dorward defeated past City Council candidate Lori Jeffrey-Heany to become the PC candidate. This is Mr. Dorward’s second attempt at becoming MLA in Gold Bar. In 2008, he placed second to Liberal MLA Hugh MacDonald, who will be retiring at the next election. Fort Saskatchewan-Vegreville: Strathcona County Councillor Jacquie Fenske defeated Tofield Mayor Nabil Chehayeb, former Fort Saskatchewan Mayor Jim Sheasgreen, Gene Hrabec, and Adam Kozakiewicz to become the PC candidate. 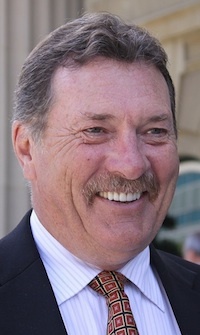 Former Premier Ed Stelmach has represented this region since 1993. The PCs will be holding a packed week of nomination meetings that will see Alberta’s 40 year governing party nearly fill its entire slate of 87 candidates. Two final nomination meetings are scheduled to be held in February to replace MLAs who recently announced their retirements. I will be away from my blog for the next week, so to earn forgiveness for my absence, here is a look at the PC nomination meetings that will be happening in the final week of January. I will provide updates when I return. Calgary-Glenmore (January 26, 2012): Lawyer Byron Nelson and Linda Johnson are seeking the PC nomination. Lethbridge-East (January 26, 2012): Former Liberal MLA Bridget Pastoor is facing Lethbridge County Reeve Lorne Hickey for the PC nomination. Ms. Pastoor has represented the constituency since 2004 and cross the floor to join the PC caucus in late 2011. Lethbridge Alderman Jeff Carlson and Lethbridge Senior Citizens Origanization executive director Rob Miyashiro announced this week that they will seek the Liberal nomination (date not scheduled). The constituency has been represented by Liberal MLAs since 1993. Edmonton-Riverview (January 27, 2012): Edmonton police office Steve Young and businessman Tom Choucair are seeking the PC nomination. The constituency has been represented by Liberal MLA Kevin Taft, who is not seeking re-election. Edmonton-Strathcona (January 27, 2012): No candidate stepped forward to claim the nomination, though the date is still listed on the PC Party website. Airdrie (January 28, 2012): Former Airdrie Mayor Linda Bruce, Councillor Kelly Hegg, and Michael Crawford are seeking the PC nomination. The constituency is represented by MLA Rob Anderson, who left the PC Party in 2010 to join the Wildrose Alliance. Banff-Cochrane (January 28, 2012): The PC nomination contest has drawn a crowd to replace retiring MLA Janis Tarchuk. Real Estate broker Jon Bjorgum, Canmore Mayor Ron Casey, Rob Seeley, businessman John Fitzsimmons and Cochrane Mayor Truper McBride are seeking the nomination. Barrhead-Morinville-Westlock (January 28, 2012): The retirement of Speaker Ken Kowalski, who has represented this region since 1979, has attracted five candidates including Morinville Mayor Lloyd Bertschi, Westlock Town Councillor David Truckey, ministerial executive assistant Tim Schultz, and Westlock County Councillors Maureen Kubinec and Bert Seatter. Calgary-Currie (January 28, 2012): Candidates seeking the PC nomination include school principal Christine Cusanelli long-time PC Party organizer Dale Galbraith, lawyer Brian Holtby, Stefan Spargo, and former MLA Jon Lord. Calgary-Hawkwood (January 28, 2012): This newly created constituency has attracted the most candidates of any nomination contest of the 2012 election. Kiron Banik, Farouk Adatia, Sumita Anand, Jason Luan, Adam Idris, Jerry Mandryk, Chris Roberts, Kumar Sharma, Doug Stevens, and Darryl Wernham are contesting the PC nomination. Calgary-Varsity (January 28, 2012): Former Nexen Vice-President Donna Kennedy-Glans is facing Ph.D. business student Rhiannon MacDonnell. The constituency has been represented by Liberal MLA Harry Chase since 2004. Mr. Chase is retiring at the next election. Fort McMurray-Wood Buffalo (January 28, 2012): Four candidates have lined up to earn the right to face PC-turned-Wildrose MLA Guy Boutiler as the PC candidate. Candidates include Councillor Mike Allen, teacher Andrew Highfield, Nick Sanders, and School Trustee Jeff Thompson. Grande Prairie-Smoky (January 28, 2012): The retirement of former cabinet minister Mel Knight has sparked a three-way nomination contest that has drawn Grande Prairie County Reeve Everett McDonald, Tab Pollock, and Tom Burton. Highwood (January 28, 2012): Associate publisher at the Okotoks Western Wheel John Barlow, John Hankins, and Okotoks Town Councillor Ed Sands are seeking the PC nomination. 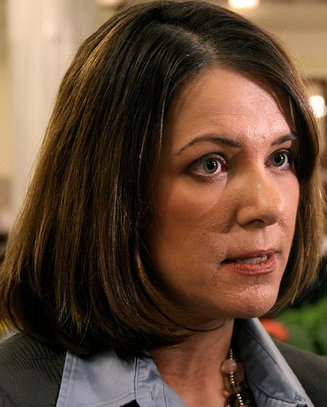 Wildrose leader Danielle Smith is also seeking election in this constituency. Little Bow (January 28, 2012): Deputy Reeve of the County of Lethbridge Henry Doeve and former County Councillor John Kolk are seeking the PC nomination. Edmonton-Highlands-Norwood (January 30, 2012): Past City Council candidate Cris Basualdo and Emerson Mayers are the two candidates I have heard are seeking the PC nomination. 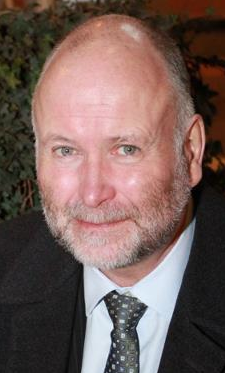 The constituency has been represented by NDP MLA Brian Mason since 2000. Edmonton-South West (January 30, 2012): This new constituency has drawn the candidacy of four PC nominees Charles Balenga, Tofael Chowdhury, Matt Jeneroux, and Eva Mah-Borsato. Calgary-Buffalo (January 30, 2012): Donna Haslam is the only candidate that I am aware of who is seeking the PC nomination. The constituency has been represented by popular Liberal MLA Kent Hehr since 2008. Edmonton-Mill Woods (January 31, 2012): Despite bizarre nomination shenanigans, the PC nomination contest will still include Ron Randhawa, Sohail Qadri, and controversy-prone MLA Carl Benito. St. Albert (January 31, 2012): School Trustee Jacquie Hansen, businessman Stephen Khan, and retired armed forces pilot Jeff Wedman are seeking the PC nomination to replace retiring one-term MLA Ken Allred. This entry was posted in Alberta Politics and tagged Adam Idris, Adam Kozakiewicz, Akash Khokhar, Andrew Highfield, Bert Seatter, Brian Holtby, Brian Mason, Bridget Pastoor, Byron Nelson, Carl Benito, Charles Balenga, Chris Roberts, Christine Cusanelli, Christine Cusanelli lDale Galbraith, Cris Basualdo, Dan Hein, Danielle Smith, Darren Hirsch, Darryl Wernham, David Dorward, David Truckey, Donna Haslam, Donna Kennedy-Glans, Doug Stevens, Ed Sands, Ed Stelmach, Emerson Mayers, Eva Mah-Borsato, Everett McDonald, Farouk Adatia, Gene Hrabec, Guy Boutilier, Harry Chase, Henry Doeve, Hugh MacDonald, Jacquie Fenske, Jacquie Hansen, Jason Luan, Jeff Carlson, Jeff Thompson, Jeff Wedman, Jerry Mandryk, Jim Sheasgreen, John Barlow, John Fitzsimmons, John Hankins, John Kolk, Jon Bjorgum, Jon Lord, Kelly Hegg, Ken Allred, Ken Kowalski, Kent Hehr, Kevin Taft, Kiron Banik, Kumar Sharma, LaVar Payne, Linda Bruce, Linda Johnson, Linda Rossler, Lloyd Bertschi, Lori Jeffery-Heaney, Lorne Hickey, Matt Jeneroux, Maureen Kubinec, Mel Knight, Michael Crawford, Mike Allen, Nabil Chehayeb, Nick Sanders, Nicole Martel, Rhiannon MacDonnell, Rob Anderson, Rob Miyashiro, Rob Renner, Rob Seeley, Ron Casey, Ron Randhawa, Sohail Qadri, Stefan Spargo, Stephen Khan, Steve Young, Sumita Anand, Tab Pollock, Tim Schultz, Tofael Chowdhury, Tom Burton, Tom Choucair, Truper McBride on January 26, 2012 by Dave Cournoyer. 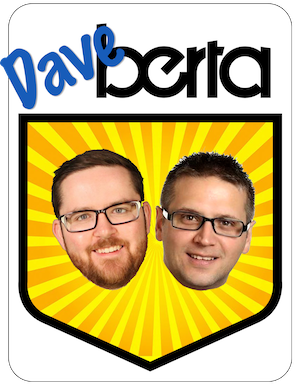 alberta election candidate update – january 2012. With an election fast approaching, Alberta’s political parties are busy nominating candidates across the province. Here is a regional breakdown showing where candidates have been nominated and some of the recent updates. Airdrie: Former Airdrie Mayor Linda Bruce and current Alderman Kelly Hegg are seeking the Progressive Conservative nomination. Banff-Cochrane: Real Estate broker Jon Bjorgum, Canmore Mayor Ron Casey have Rob Seeley have joined businessman John Fitzsimmons and Cochrane Mayor Truper McBride in the contest for the PC nomination on January 28, 2012. The Liberal Party nomination is scheduled to take place on January 26, 2012. Bonnyville-Cold Lake: The Wildrose Party is searching for a candidate to replace Chuck Farrer, who has withdrawn his candidacy. Mr. Farrer was nominated in October 2010. Calgary-Currie: Lawyer Norm Kelly has been acclaimed as the Alberta Party candidate. Calgary-Glenmore: Linda Johnson will face lawyer Byron Nelson for the PC nomination. The constituency is currently represented by Wildrose MLA Paul Hinman, who was elected in a 2010 by-election. Calgary-Hawkwood: Sumita Anand has joined declared candidates Farouk Adatia, Jason Luan, Chris Roberts, Kumar Sharma, and Doug Stevens in the PC nomination contest. Calgary-McCall: It is a full house in the PC nomination contest on January 21, 2012 with 10 candidates having entered the race. Candidates include Khandaker Alam, Deepshikha Brar, Afzal Hanid, Amtul Khan, Jamie Lall, Aslam Malik, Ravi Prasad, Muhammad Rasheed, Jagdeep Sahota, and Jangbahadur Sidhu. Calgary-Mountain View: Lawyer Cecilia Low was acclaimed as the PC candidate. This constituency has been represented by Liberal MLA David Swann since 2004. Calgary-Northwest: First reported on this blog, former cabinet minster Lindsay Blackett will not be seeking re-election. Sandra Jansen announced yesterday that she will be seeking the PC nomination. 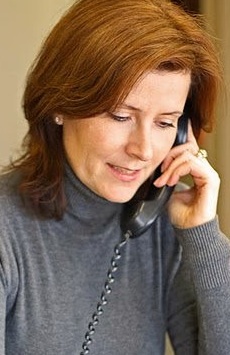 Ms. Jansen is a former news anchor for Global Television and has served as Communications Manager for Premier Alison Redford‘s Southern Alberta Office since late last year. Calgary-Shaw: The Alberta Party will be holding a nomination meeting on January 30, 2012. At this time, Brandon Beasley is the only declared candidate. Calgary-West: Allan Ryan and former Calgary-McCall MLA Shiraz Shariff have joined Calgary Police Sergeant Mike Ellis and Ken Hughes. Edmonton-Centre: Urban Development Institute executive director Nicole Martel is seeking the PC nomination scheduled for January 24, 2012. 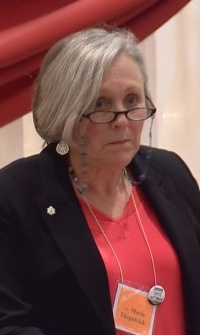 Ms. Martel was the federal Liberal candidate in Edmonton-East in the 2006 election and a candidate for the Liberal nomination in Edmonton-Centre in 2008. Edmonton-Ellerlise: Past Public School Board candidate Tina Jardine has withdrawn her name as the NDP candidate for personal reasons. 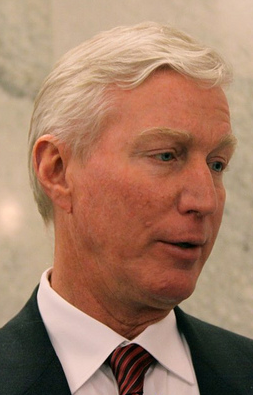 Edmonton-Gold Bar: Dennis O’Neill was acclaimed as the Alberta Party candidate. Edmonton-Mill Woods: Despite bizarre nomination shenanigans, the PCs will hold their nomination meeting on January 28, 2012. Candidates include Ron Randhawa, Sohail Qadri, and controversy-prone MLA Carl Benito. Edmonton-Riverview: Taleb Choucair, Edmonton Police Officer Steve Young, and former Public School Trustee Bev Esslinger are seeking the PC nomination on January 27, 2012. Edmonton-South West: Allan Hunsperger is the nominated Wildrose candidate. Matt Jeneroux and Tofael Chowdhury are competing in the PC nomination scheduled for January 30, 2012. Mr. Choudhury was a candidate for the federal Liberal nomination in Edmonton-Strathcona in 2008. Fort McMurray-Conklin: Former Wood Buffalo Mayor Doug Faulkner was acclaimed as the Wildrose candidate. Mr. Faulkner was a federal PC candidate in the 2000 election and federal Liberal candidate in the 2004 election. Councillor Don Scott was acclaimed as the PC candidate. Fort McMurray-Wood Buffalo: Andrew Highfield has joined declared candidates Mike Allen, Nick Sanders, and Jeff Thompson in competing for the PC nomination scheduled for January 28, 2012. Lethbridge-East: Lethbridge County Reeve Lorne Hickey is challenging Liberal-turned-Tory MLA Bridget Pastoor for the PC nomination scheduled for January 26, 2012. Medicine Hat: Darren Hirsch and Linda Rossler are seeking the PC nomination. The constituency is currently represented by 17-year MLA Rob Renner, who is not seeking re-election. 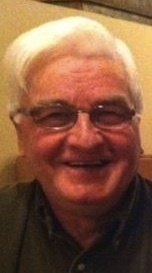 Red Deer-North: Well-known local historian Michael Dawe is seeking the Liberal nomination scheduled to be held on January 19, 2012. Sherwood Park: Six candidates are vying for the PC nomination on January 21, 2012 to replace outgoing MLA Iris Evans. Declared candidates include Matthew Bissett, County Councillor Brian Botterill, Helen Calahasen, Murray Hutchinson, former Mayor Cathy Oleson, and local PC organizer Susan Timanson. 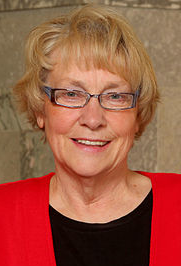 Ms. Calahasen is the sister of long-time Lesser Slave Lake MLA Pearl Calahasen. Vermilion-Lloydminster: Dr. Richard Starke was acclaimed as the PC candidate to replace outgoing MLA Lloyd Snelgrove. Former PC Member of Parliament Douglas Fee has joined the PC nomination contest, to be held on February 10 and 11. Mr. Fee served as the MP for Red Deer from 1988 to 1993. This entry was posted in Alberta Politics and tagged Afzal Hanid, Alison Redford, Allan Hunsperger, Allan Ryan, Amtul Khan, Andrew Highfield, Aslam Malik, Bev Esslinger, Brandon Beasley, Brian Botterill, Bridget Pastoor, Byron Nelson, Carl Benito, Cathy Oleson, Cecilia Low, Chris Roberts, Chuck Farrer, Darren Hirsch, David Swann, Deepshikha Brar, Dennis O'Neill, Don Scott, Doug Faulkner, Doug Stevens, Douglas Fee, Farouk Adatia, Helen Calahasen, Iris Evans, Jagdeep Sahota, Jamie Lall, Jangbahadur Sidhu, Jason Luan, Jeff Thompson, John Fitzsimmons, Jon Bjorgum, Kelly Hegg, Ken Hughes, Khandaker Alam, Kumar Sharma, Linda Bruce, Linda Johnson, Linda Rossler, Lindsay Blackett, Lloyd Snelgrove, Lorne Hickey, Matt Jeneroux, Matthew Bissett, Michael Dawe, Mike Allen, Mike Ellis, Muhammad Rasheed, Murray Hutchinson, Nick Sanders, Nicole Martel, Norm Kelly, Paul Hinman, Pearl Calahasen, Ravi Prasad, Richard Starke, Rob Renner, Rob Seeley, Ron Casey, Ron Randhawa, Sandra Jansen, Shiraz Shariff, Sohail Qadri, Steve Young, Sumita Anand, Susan Timanson, Taleb Choucair, Tina Jardine, Tofael Chowdhury, Truper McBride on January 17, 2012 by Dave Cournoyer.